In 2014, LATAM Airlines Group became the first airline group to be named to the Dow Jones Sustainability Index (DJSI) World, after being selected within an exclusive group of global sustainability leaders for its economic performance, social responsibility actions and environmental policies focused on the long term. By joining the index, LATAM Airlines Group became, together with Air-France-KLM Group, one of the two companies in the aviation industry that are currently listed in the DJSI World. Among the economic, social and environmental criteria that the Dow Jones Sustainability Index uses to assess companies are: Social Reporting, Human Capital Development, Commitment to Stakeholders, Corporate Governance, Reliability, Reporting and Environmental Management, Climate Strategy and Efficiency and Management of Customer Relations, among others. 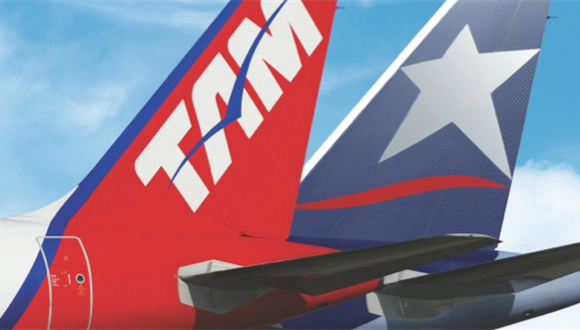 At the environmental level, LATAM Airlines Group achieved the industry’s best performance in the categories of Operational Eco-efficiency and Climate Change Strategy. This is the result of measures that the company has put in place to improve fuel efficiency and, as a consequence, reduce CO2 emissions, which in turn result in one of the lowest CO2 emission per passenger-kilometer/cargo ton-kilometer rates in the aviation industry. To join the Dow Jones Sustainability World Index is a huge pride for all the workers in our company. It’s the result of the work we’ve done during many years and it shows we are on the right path to be where we want to be, which is among the three best airlines in the world. Being a part of this index ratifies our commitment to stakeholders to work day after day to make a transparent and responsible company, at the economic, social and environmental levels”, Enrique Cueto, CEO of LATAM Group. For the Sustainability Index, LAN CARGO focused on its customers’ satisfaction and feedback, highlighting the use of the Satisfaction Survey that cargo customers receive every year and that allows the company to improve on the areas that its clients point at. This feedback serves as a guide for continuous improvement and the development of projects, tools, products and services that allow the company to fulfill customers’ expectations. Customer Care was one of the areas developed as a result of this feedback. The development of the project began in 2010 and became operative in 2013. This and other improvements were reflected in the last Satisfaction Survey, in which the company achieved 69 percentage points, four points over the 2012 results. We feel confident about the work we’ve done so far and we will keep working to contribute to the region through connectivity and our operations,” Enrique Cueto. The companies considered for the Dow Jones Sustainability Index World are the 2,500 companies with the best financial performances at a global level, measured by market capitalization on the S&P Global Broad Market Index. They cover enterprises in 59 industry groups and 47 countries. Of the total number of companies considered, 319 were named to the DJSI World, including LATAM Airlines Group. The evaluation system is based on a “Best-in-Class” approach, which selects, out of each industry, the companies with the best performance. During the last two years, the company was the only airline named to the Dow Jones Sustainability Index-Emerging Markets within the “Travel & Leisure” category, for its leadership in terms of corporate sustainability. Currently, LATAM Group is the only company with headquarters in Chile that is listed in the DJSI World. Only 14 other companies in the region have achieved a place in the index: 8 companies in Brazil and 6 in Colombia.